There’s a right way and a wrong way to churning out a successful batch of pasta. Included here are ten of the best pasta-making tips. The saying goes – When in Rome do as the Romans do! This is such a familiar phrase and especially pertinent when you are eating and making authentic Italian cuisine. With the rise in meat prices and the need to economise, Italian cuisine, and especially the making of pasta, will come into its own. Let’s eat like the Italians. It’s all about the dough so if your dough is smooth and worked through thoroughly it’s a lot easier to roll it through the machine. Never skimp on the flour when you roll or cut the dough. Use the freshest eggs you can find. Kneading is a no-brainer. 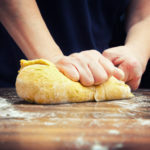 The more you knead, the better the result brings about a smooth and elastic end-product. Never let the dough dry out; cover your dough with a clean, damp cloth while rolling out. Don’t be afraid if the dough does dry out a little, though. Working quickly will give good end results. Divide the rolled pasta into sheets and the uncooked noodles into several little piles while you work to make the process a lot easier. 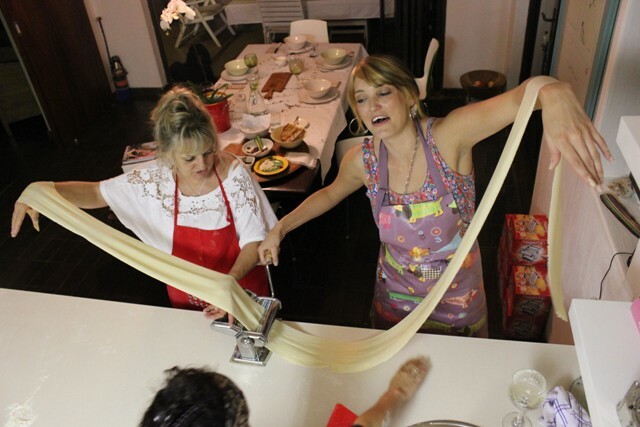 Making pasta together is not only fun but goes really quickly – make pasta in groups of two, three or four people. And for that extra flourish of confidence practice your pasta-making skills before hosting a party or dinner to gain some confidence.